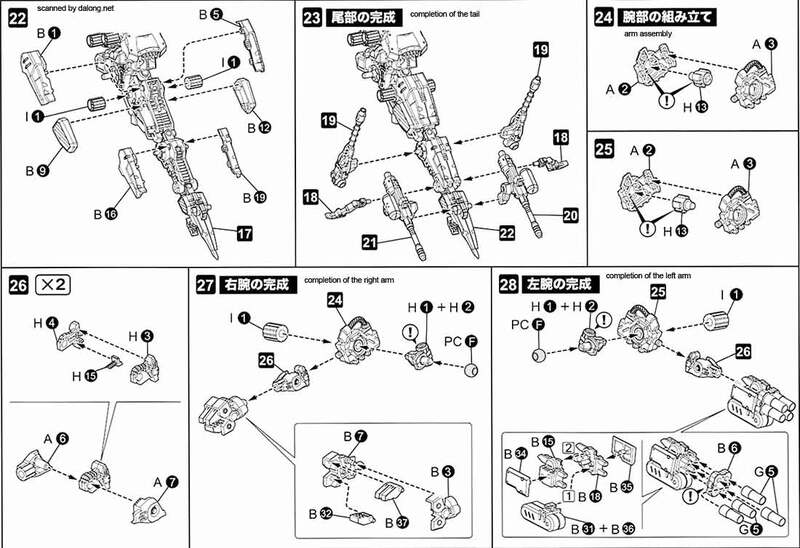 Released a couple of years back by Kotobukiya was the 1/72 Highend Master Model of the Iguan from Zoids. 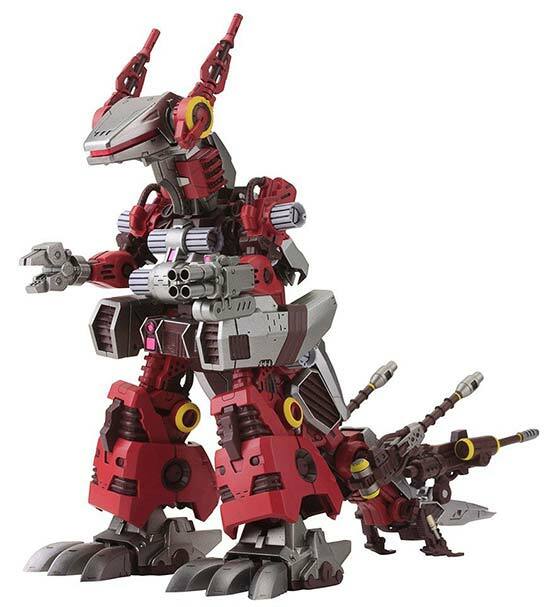 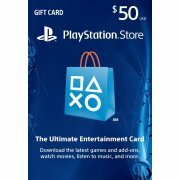 Is it just me or does this thing have cannon fodder written all over it? 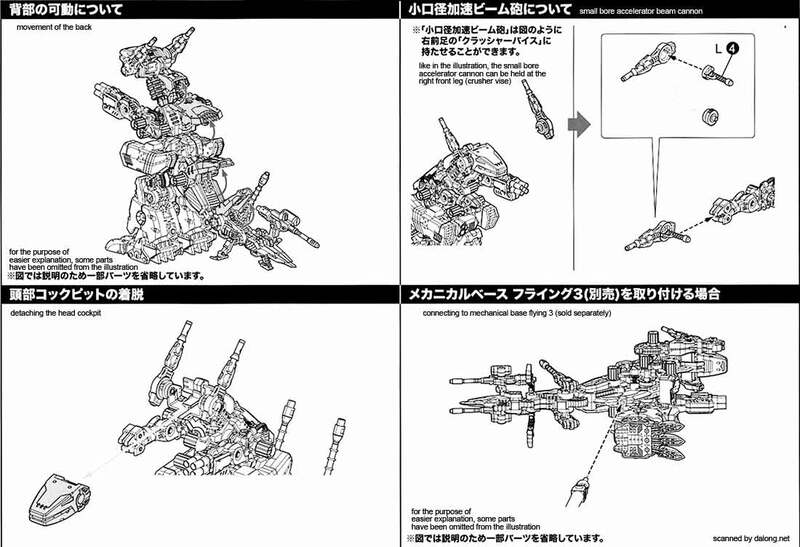 *snicker* A worthy rival indeed to the earlier released 1/72 HMM Godos. 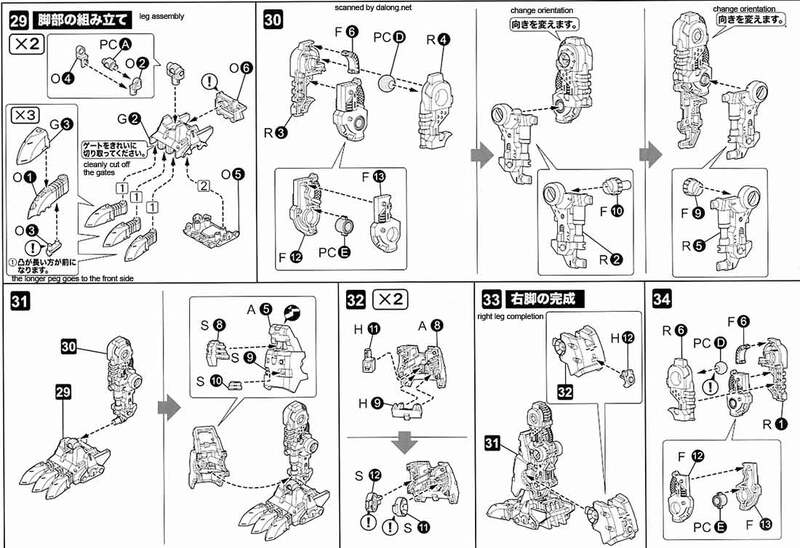 Compared to most Highend Master Model's released by Kotobukiya which are usually complex, you'll have a relatively easier time putting this one together because it has fewer parts. 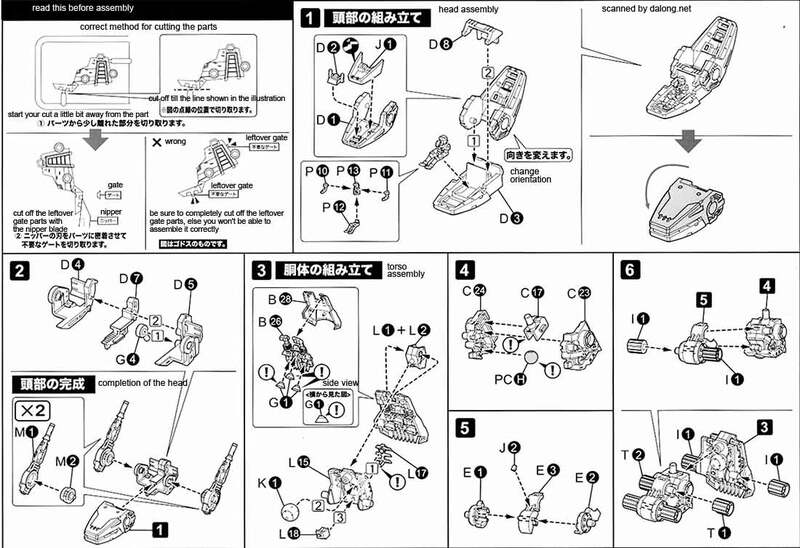 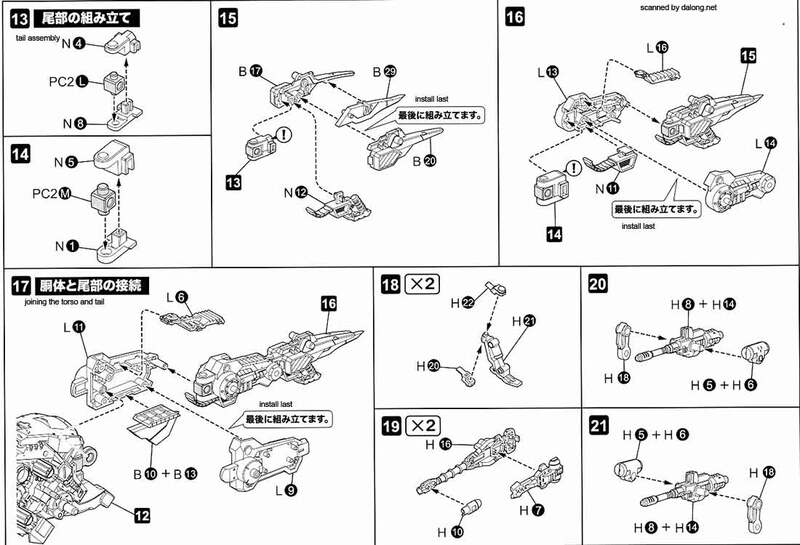 Construction Manual & Color Guide for the 1/72 HMM Iguan was translated to English from the Japanese manual posted at Dalong's Gunpla & Model Kit Review site. 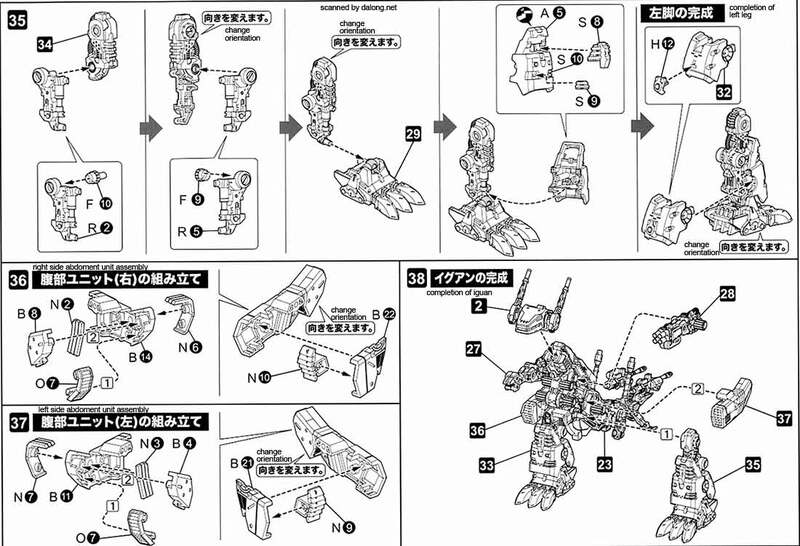 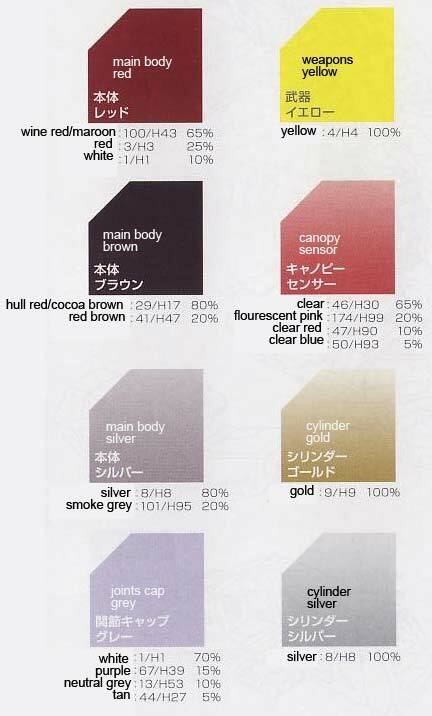 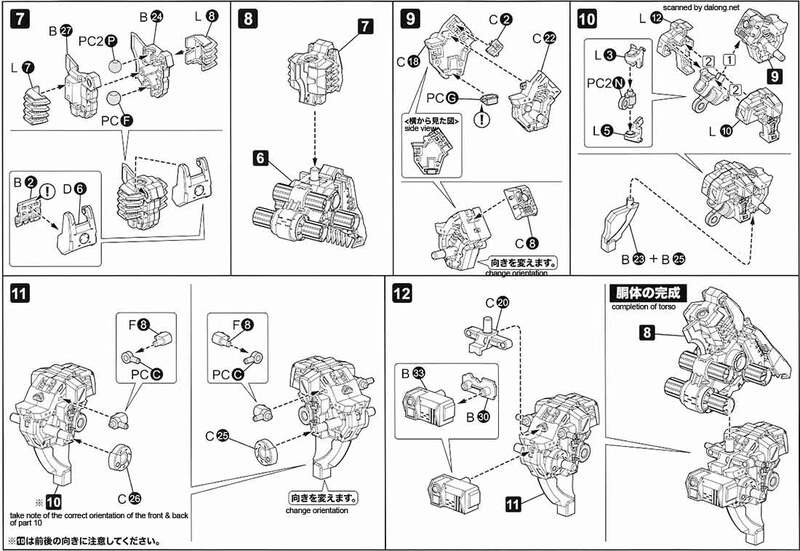 For the meaning of the symbols in the model kit's manual, kindly refer to this post.